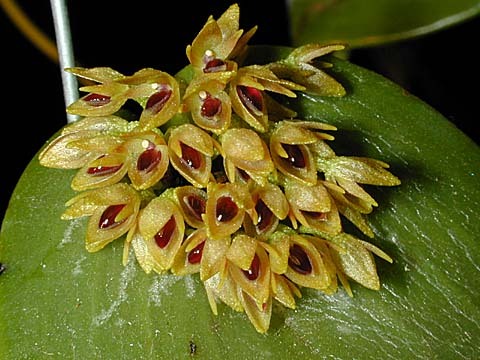 SUBGENUS Pleurothallis SECTION Macrophyllae-Fasciculatae Lindl 1859 Photo courtesy of Andy's Orchids Copyright © 2002 All rights reserved. 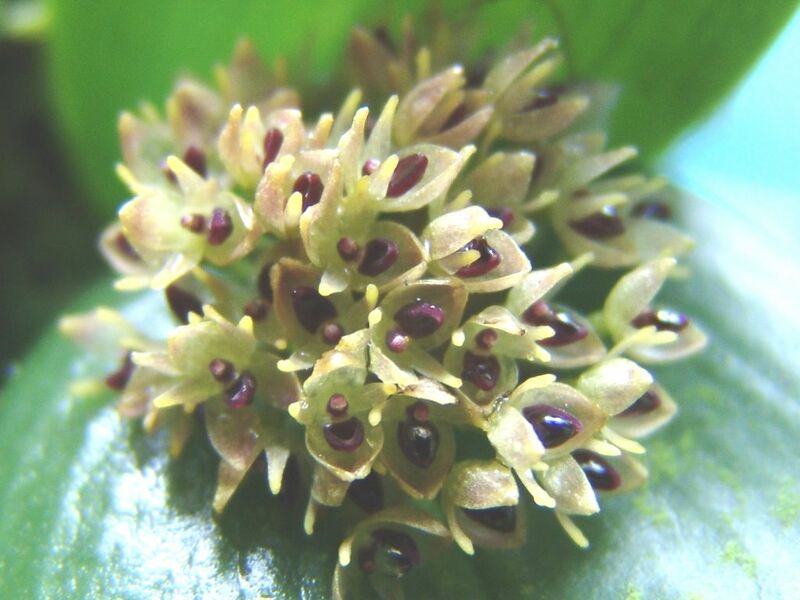 Found in Colombia, Ecuador and Peru at elevations of 1200 to 2700 meters as a small to medium sized, cool to cold growing epiphyte and terrestrial with an erect ramicaul enveloped basally by 2, tubular sheaths and carrying a single, apical, patent to erect-patent, fleshy-coriaceous, ovate lanceolate to narrowly ovate, obtusely acuminate, shortly cordate below leaf that can bloom at any time of the year on a fasciculate, short to .35" [8mm], single flowered inflorescence with elliptic-cucullate, acuminate floral bracts. 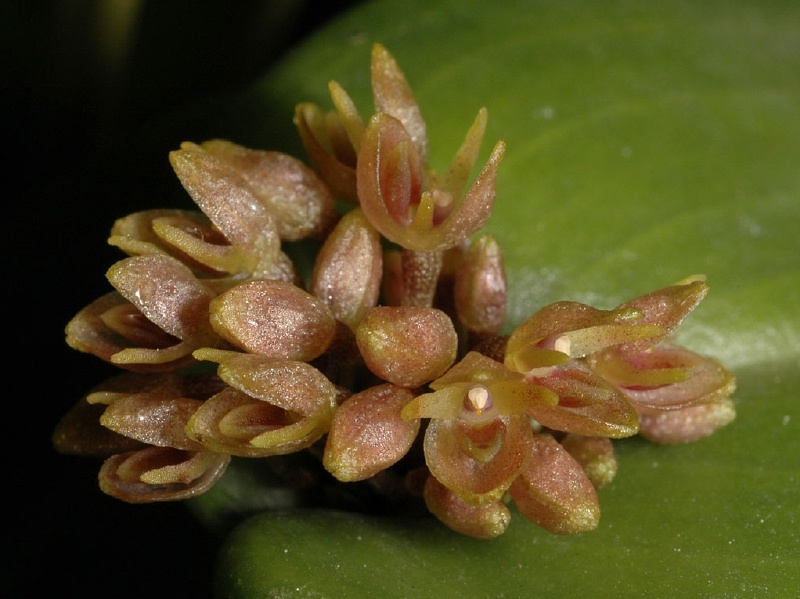 Characterized by the small to medium sized habit and a dense fascile of small flowers, often old and in bud, arsiing from the base of a thickly coriaceous, more or less horizontal, cordate leaf as well as the sepals and petals are fleshy and externally verrucose and the concave synsepal is filled with a fleshy, ovate, concave, cellular-papillose lip.